DCRI Perioperative Nutrition focuses on the study of hospital-based treatments to improve preparation and recovery from surgery, major illness, and critical care. We put real science into improving patients' lives with interventions such as nutrition and exercise. This work includes NIH and privately funded research that investigates the role of nutrition, exercise, the microbiome, probiotics, and other nutrition-related interventions such as protein delivery and sports nutrition to improve outcome and quality of life following acute/chronic illnesses. Is Your Hospital Screening for Malnutrition and Treating It? Research shows physicians who screened patients for malnutrition and treated it prior to the procedure had better patient outcomes. Only five days of intervention can lead to better nourishment and fewer complications from surgery. However, evidence suggests physicians at many hospitals fail to implement evidence-based nutrition practices. In a new mini-series of six podcasts sponsored by Abbott Nutrition, Paul Wischmeyer, MD, EDIC,welcomes distinguished scientists and clinicians from across the United States to discuss the role of nutrition in improving surgical outcomes. 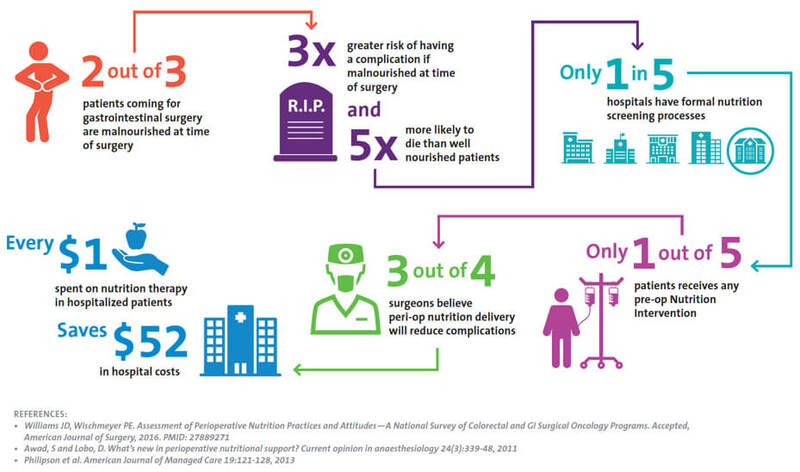 Perioperative malnutrition has proven to be challenging to define, diagnose, and treat. The second Perioperative Quality Initiative brought together a group of international experts with the goal of providing consensus recommendations on this important topic. A randomized trial of supplemental parenteral nutrition in underweight and overweight critically ill patients showed that the strategy could in some cases improve patient outcomes. Avoiding malnutrition and supporting anabolism are key nutritional goals for surgical patients. Paul Wischmeyer, MD, and his colleague outline how to prevent pre‐operative malnutrition and support anabolism for optimal recovery in patients undergoing elective abdominal surgery. 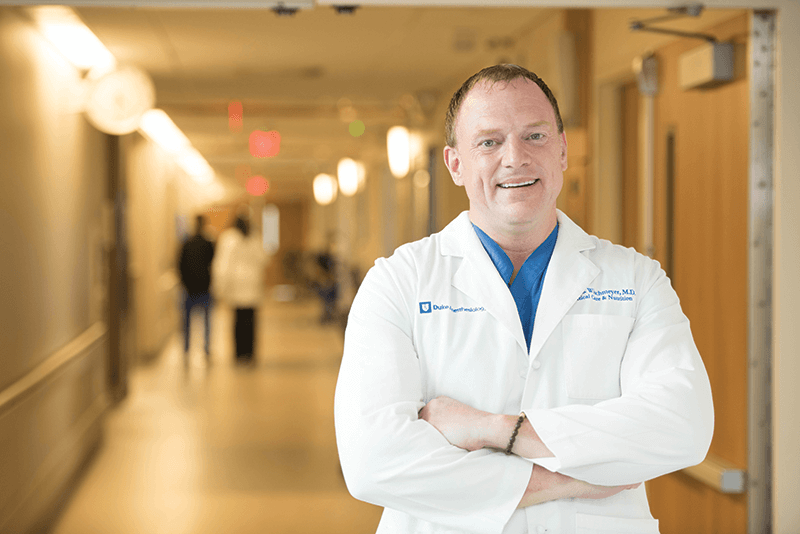 DCRI Perioperative Nutrition is led by Paul Wischmeyer, MD, whose passion for helping patients recover from illness and surgery arises from his personal experiences as both a doctor and a patient in the ICU. Wischmeyer, who has undergone more than 20 major surgeries, has personally experienced multiple ICU stays due to a childhood GI illness that took more than half of his intestinal tract. As a result, preparation for surgery/critical care and recovery from illness fuel Wischmeyer's dedication to teaching patients and caregivers worldwide. The Duke POET Perioperative Nutrition Clinic is designed exclusively to assess patients before surgery. By performing a nutritional evaluation prior to surgical a procedure, physicians and patients can get a better understanding of patient readiness and develop a plan for good post surgical care.